« We have a winnah! I guess it’s more like “went” to Washington, but I wanted to make a movie title pun. I thought since we have a new president headed to the White House, I’d post some pictures from Taylor’s various Washington, DC appearances — Christmas in Washington (December 2006), the White House visit (July 2006) and A Capitol Fourth, from this past summer. Mr. Hicks looks good in Washington. Tays, just when I think I’ve seen all the photos of Taylor at various events posted on line, you come up with something I haven’t seen yet. I love it! Great photos. #8 is the Taylor I LOVE. I never cared for his “bowl cut” when he met the President, though. Not age appropriate. #4 takes me back. I LOVED that performance also. What a cutie in #1. That smile gets me EVERYTIME! It’s night and day comparing #7 & 8. That’s it (for now). Remember how amazing he was that night? Good times, good memories. Love Taylor in Washington. I guess I’m already feeling the holiday spirit since in the last few days I’ve watched Christmas in Washington (well Taylor’s part) several times. Must say I love #4 and #8 the best — he’s so purdy! Love the Christmas In Washington shots best—it was the first time I had gotten Darling Hubby to watch Mr. H—and he was suitably impressed! Heck, I’m not even American, and I love these. Poor Taylor- #s 6 & 7 should go into our Dork Love thread… how funny are those. But man, seeing him from that day to the past 4th- wow…. our boy has growed up- and growed up well. Thank you, TH!! Great theme, great photos, as usual! You have the best ideas and pics! Thanks! Bravo! I think we should play “Hail to the (Soul) Chief” in the background! LOVE #1 – what a great smile. #3 – what a great un-pose. And may I just say that the Christmas in Washington performance was amazing! A classic! #1 & #8 – What a Hunk!!! Love the last one sitting at the desk, thanks. I loved his Christmas performance. But I really like the way he looks in the July 4th. The suit was awesome, and he filled it out superbly!!! Love the last pic. Now that’s what I call a lot of “soul” in the White House! Not a fan of the dorky bowl cut hair either. LOL. #1Whenever I see Taylor in a sweater I just want to wrap my arms around him and snuggle…and #8….absolutely gorgeous. The Christmas performance was one of my favorites ever. Rehearsal and performance photos were wonderful. When his eyes close toward the end of “It Came Upon a Midnight Clear”, and those gorgeous lashes touch his cheeks, gahhhhhhh! I have that recorded and my daughter and I have watched it over and over and over again! I LOVE #4 and #8!!!!!!!!!!!!!! Great set of presidential pics….very Frank Capra and Jimmy Stewart of you! Next thing you know Taylor will be filibustering in the Senate! I love the mix of familiar and unfamiliar pics (I love that you continue to surprise us with pics we haven’t seen before). He looks so happy and relaxed no matter what setting he is in. hmmmm…there’s a president elect I would definately vote for!! For me, these snippets in time prove it was really all about the music back then. (A small part was also about sticking it to the pop making machinery. But, I digress.) Now? Its about the music AND the musician. #1 is #1 in my book. I loved the last 2. And yes! to the memory of the eyelashes (& the voice) in “Midnight Clear”!! Taylor is amazingly versatile. From being comfortable boogieing on top of a pool table in a bar to singing in Washington for dignitaries….. I like watching him because of the variety! Why do they always use the dork pics like #7 in major publications? The amazingly gorgeous ones never make it to their pages, for the most part. Grrrrrr. I love the picture of Taylor with President Bush. He was the only one with a suit and tie…it shows so much respect. It is one of the things I love about Taylor. Also the progression of the photos (date wise) show how Taylor has progressed in his appearance…simply gorgeous. Thank you TH for the great photos. #4 has always been one of my favorites. I loved all these performances, but Christmas in Washington has always been one of the best for me. I also agree with Pat P, Taylor wearing a suit & tie to meet the President just shows what a great & respectful guy he is. P.S. Also #10 – that is absolutely beautiful! I love the Oval Office chop. Love his beautiful, natural smile in #1. Where is his “other arm” , and what is he holding in that one? I’m partial to the “Christmas In Washington” ones. He opened the show that night with a performance that had every frigging ounce of “Taylor Hicks” in it to absolute perfection, from his voice to the perfect song choice to his appearance. You will hear me cry all the way from Texas when my DVR dies and I can no longer “resume playback”. Love all of the pictures TaysH ! Well, I’ve never seen any of these, so thanks mz tays! I’m also glad the bowl cut is gone. The man’s waay too handsome for that look. I like #5 because he was dressed properly and looks so happy, and it was his White House connection, that enabled the finalists to meet Mr. Bush. It is a given that I enjoyed his 2006 Christmas performances and once again he was into the spirit and awesomeness of the occasion. Yep, #1 adorable. Thanks TaysHarmonica! What a difference a good haircut makes! It’s funny to see the older pix now because it makes me realize just how far he’s come image-wise. I have fifty gazillion Taylor pics and you’d think I’d have everything ever taken of him, then you come up gems that I don’t have. You amaze me TsH!! The thing about Taylor and his “Moe bangs” (as Linda T. calls them) LOL! is that all he’d have to do is put some gel on his finger tips and push his hair back of his forehead. I never could figure out why someone didn’t just tell (show) him that. Without the bowl cut, those meeting the President pics would have been terrific! IMO. Love the Capitol 4th and Christmas pictures. The brown suit with dark shirt was fabulous, and he was GQ Supreme in his Capitol 4th look! He certainly has a ton of different looks, and thanks to taysharp, I think we’ve seen the majority of them! So…they didn’t go to the White House BECAUSE they were all AI finalists? OK, now that I’m thinking about it, that would be pretty lame if the prez met the finalists every year. Then again, it’s not so strange to think they might do a performance for the prez. OK, put me out of my mindless rambling misery and tell me how this visit to the White House came about. Caryl – I found this online about the White House visit. Hope it transferrs OK. If not, maybe TH can remove my post. ENGLEWOOD, Colo. (AP) — President Bush is about to come face-to-face with the one man who has his voting record beat. 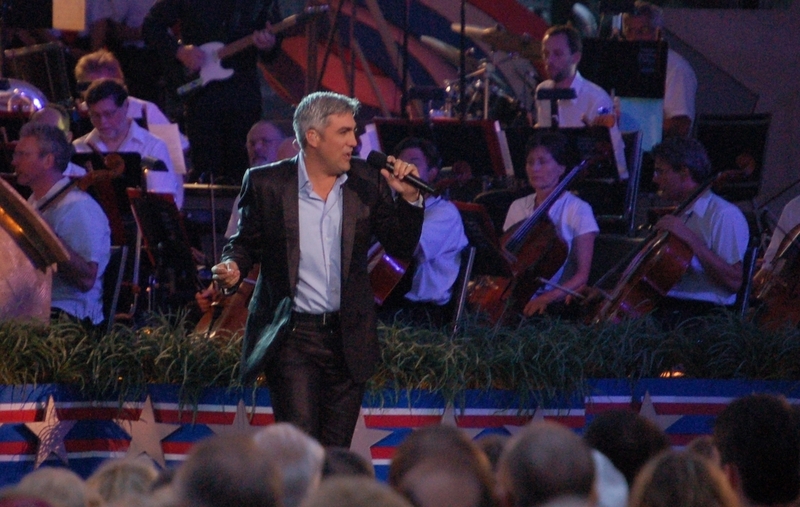 Bush plans to host American Idol Taylor Hicks and the other Top 10 finalists next Friday in the Oval Office. It will be the first time contestants from the hit television show have been invited to meet the president. Hicks won the most recent season’s contest May 24 after 63 million votes were cast for him in the season finale. That’s more than the 59 million that Bush got in 2004, a record in any U.S. presidential election. Although, to be fair, voters can cast more than one ballot on American Idol. The White House announced the Idols’ upcoming visit Friday as Bush traveled to Colorado for a Republican fundraiser. The meeting is scheduled for July 28, when the performers were scheduled to be in Washington for their American Idols Live show at the Verizon Center. Hicks has a personal connection inside the White House: Susan Whitson, Laura Bush’s press secretary, taught him 9th grade English at Hoover High School in Birmingham, Ala. The finalists will get a tour of the White House before their audience with the president. It was unclear if runner-up Katharine McPhee would be among the group since she missed recent tour stops due to bronchitis and laryngitis. Aaaaah!! Thanks, havingfun! This place is mighty educational. Wow, he’s changed so much, both features and style since the early days. He looks better now but he was still scrumptious back then even with the dorky bowl cut. Wonder if he will be on the Christmas broadcast this year? thanks again for all the awesome pictures of an awesome person. #1 and 2 are my favourites. But the rest brings back so many memories of him singing in DC. Love the Christmas in Washington performance!! Just happened that I watched it today….have it recorded twice on a VHS tape with many other TV appearances and put it on today while I was doing some ironing in my bedroom. 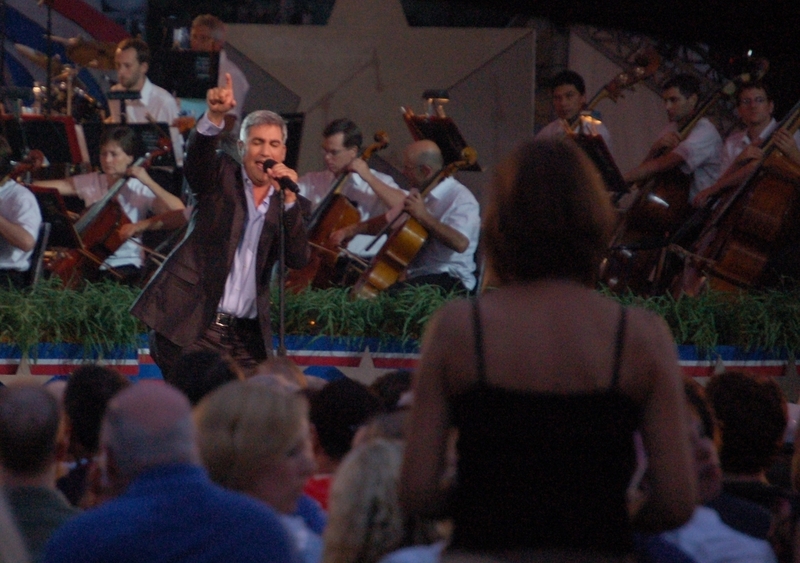 Another reason I love it is because I now have a mini Taylor Hicks Christmas album on my Ipod from that show. I think that the Christmas in D.C. was a terrific show for him. He looked like a million dollars and he held his own with all the singers on the show. I too was proud of him for dressing appropriately for a visit to our White House. Cool shots today! Some dorky, some delicious. I luv him. I haven’t seen some of these. He’s experienced so much in the last two years. I actually thought that last picture was real for a minute. Thanks once again, TH, for the great pics!! Love the “before” and “after” pics. He’s really evolved hasn’t he?! Great pics of Taylor looking happy and successful.